Home / Unlabelled / HOW WAS THE BLACK STONE STOLEN FROM MAKKAH? 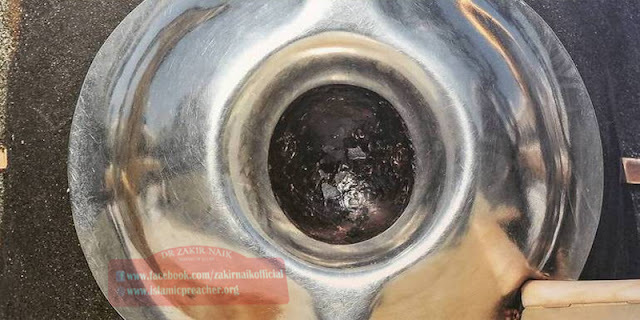 The Black Stone also known as Hajr-e-Aswad is a stone bestowed down from the heaven. It is not an ordinary stone; Muslims have affiliations with it. The stone is located at the eastern cornerstone of the Holy Ka’bah. Muslims around the world try to kiss it and see it whenever they visit Makkah for Hajj or Umrah. The stone is now held safe in a silver frame. Visitors can see through the opening of the frame. It is considered sacred as it was set by the Holy Prophet (PBUH) and is blessed from heavens. It is also known as the foundation stone of Holy Ka’bah. WHO STOLE THE BLACK STONE? Not many people know that the black stone was stolen from Makkah for 23 years! The Qarmatians stole it in January 930. The stone was stolen and taken to their Hajar base (what now is Bahrain) by the Qarmatian leader, Abu Tahir al-Qarmati. Abu Tahir al-Qarmati was a Qarmati ruler of the historical and ancient Bahrain. His brother Abu Saʿid Hasan ibn Bahram al-Jannabi was the founder of the Qarmatian state. Abu Tahir al-Qarmati became the leader in 923. His reign saw an expansion. He raided Basra in 923 and Kufa in 927. He also threatened to take over Baghdad and robbed much of Iraq. He was not considered as a peaceful leader. In 930, the Qarmatian leader underwent a horrible plan. He planned to attack Makkah. When he first arrived in the city, he wasn’t allowed to enter. So he took an oath of peace that guaranteed that he will remain in peace here. But he did not keep his oath. What he did was not peaceful at all. On the very first day of Hajj, the Qarmatians attacked Makkah. The Qarmatians’ army came up with their horses and entered Masjid al-Haram. They started massacring the pilgrims brutally. The reports indicate that about 30,000 pilgrims were killed as they were praying around the Kabah. The Qarmatians were taunting the pilgrims with the verses of Holy Quran as they were being killed. They looted the Ka’bah, destroyed the buildings, houses were plundered, slaves were seized and the dead bodies of pilgrims were thrown in the well of Zamzam to despoil it while other dead ones were left on streets to get rotten away. Abu Tahir took away the Black stone and held in his possession. He took it to Masjid al Dirar so that it could be placed there. He wanted to make the Masjid a sacred place and redirect the Hajj from Makkah to Masjid al Dirar. But he never got what he wanted! He died the most horrific death, his body and flesh were eaten away by worms. The stone was taken away 23 years later by paying a huge ransom money. The Abbasids had to pay a huge amount of money to get the black stone back. The stone was broken down into seven pieces during its hostage and removal.